Scroll down for free printable Aquarius Characteristics clip art, along with brief descriptions of Aquarius traits. 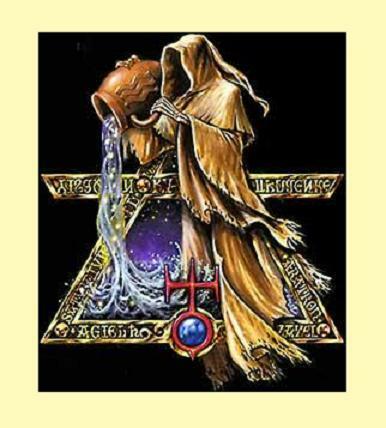 The image shown above represents the symbol for the sign of the zodiac known as Aquarius. To print any of these images, just right-click on the chosen image and select a SAVE option from your drop down menu. This will save the image to your picture file for future use. From there, you can reduce it, enlarge it, and alter it to suit your needs. These images can be used to adorn your correspondence, design a logo, decorate a website or for any other purpose you can possibly dream up. 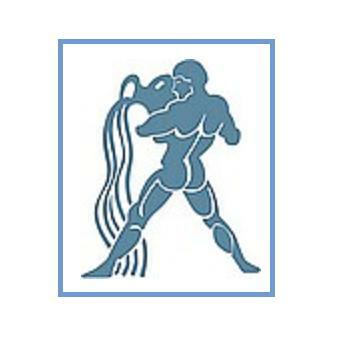 On the positive side, people born under the sign of Aquarius are said to be friendly, honest and loyal. 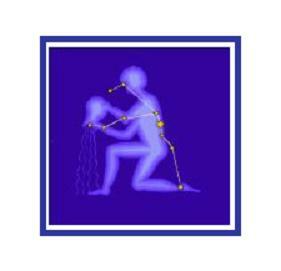 Aquarius people are also thought to be innovative thinkers with open minds and independent spirits. On the negative side, Aquarius personalities can sometimes seem emotionally detached. The behavior of a typical Aquarius personality can be somewhat unpredictable, and they tend to change their minds easily. What's more, they like it this way and they often have no intention of sticking to the first idea that came to mind, necessarily. 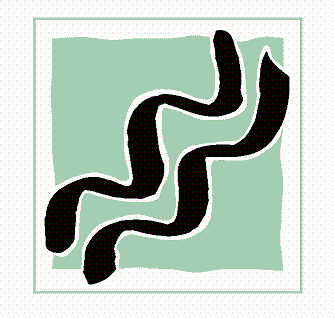 Aquarius people are known for their intellectual and emotional flexibility. They roll with the flow, more or less. However, their intense need to communicate can sometimes make them appear pushy or rude. 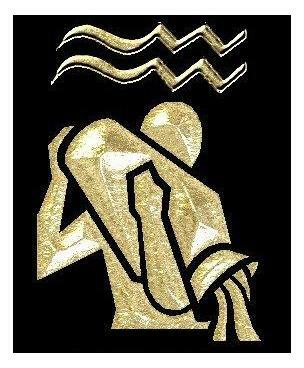 People born under the sign of Aquarius tend to appreciate being recognized for their accomplishments, but they do not like to show off. Colors most frequently associated with the sign of Aquarius are soft pastel shades of blue and green. Appropriate gifts for individuals with Aquarius traits are music, colorful artwork, practical devices and anything hand made or personalized. Aquarius Tattoos: Essential tattooing etiquette calls for altering a tattoo design to make it uniquely your own. Print out any of the images shown here, then change the colors, backgrounds, and proportions to create your own unique design. When you are finished, run your personalized tattoo design over to your favorite local tattoo artist. Better still, stop by an office supply store (like Office Max or Office Depot) and pick up some temporary tattoo paper designed for laser printers.